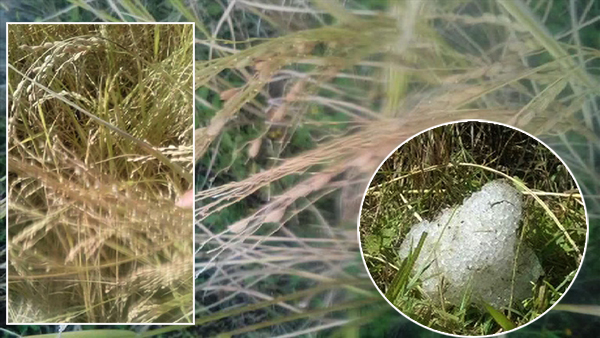 Heavy rainfall along with hailstorm which lasted for about seven minutes damaged paddy in four Gewogs in Punakha on Friday evening. Over 100 acres of paddy fields belonging to some 90 households were damaged. Dzongkhag agriculture officials said Shelnga-Bjemi, Chhubu, Goenshari and Kabisa Gewogs have been affected. Meanwhile, Dzongkhag Disaster Management Committee is assessing the extent of the damage. The report will be sent to the Department of Disaster Management and the agriculture ministry.